This week is Red Ribbon Week until October 31st. Run by National Family Partnership (NFP), Red Ribbon Week brings drug awareness to the nation. Since 1985, Red Ribbon serves as a catalyst to mobilize communities to educate youth and encourage participation in drug prevention activities. The Red Ribbon campaign brings hope to families that are struggling with addiction every year. You may notice that over time, your friend or family member may be slowly changing their appearance. Sloppy clothes, lack of hygiene, or just an overall unappealing appearance can be a sign that someone is abusing a substance. Substances change people, and not just their physical appearance. Over time, drugs and alcohol can also affect skin and weight. If you develop the disease of addiction to drugs or alcohol, avoiding friends and family often occurs. Many factors can contribute to this avoidance like depression or the feeling of guilt – you don’t want your family to see you this way or talk about your alcohol/drug use. People who struggle with addiction spend less time doing the things that they love. For those in school, attendance drops and their performance deteriorates. Addiction leads to relationship problems. Having other aspects of your life fall to pieces interrupts the family dynamic, and the addict may resent the help that family members offer. Addicts are known to act out against those who love and care for them the most – especially if their addiction is discussed by family, co-workers, classmates, etc. As addiction deepens, many will go into harm’s way to obtain their drug of choice. They will compulsively seek and take a drug regardless of the consequences. Others may hide drugs or alcohol. For instance, many will conceal their drug or alcohol use by waiting for everybody to leave the house, or use alone in the car, or close their office door. They also may sustain unexplained injuries or accidents. If there is a family history of addiction, every person in that family is predisposed to having a substance abuse problem. It can manifest differently in each case, though. 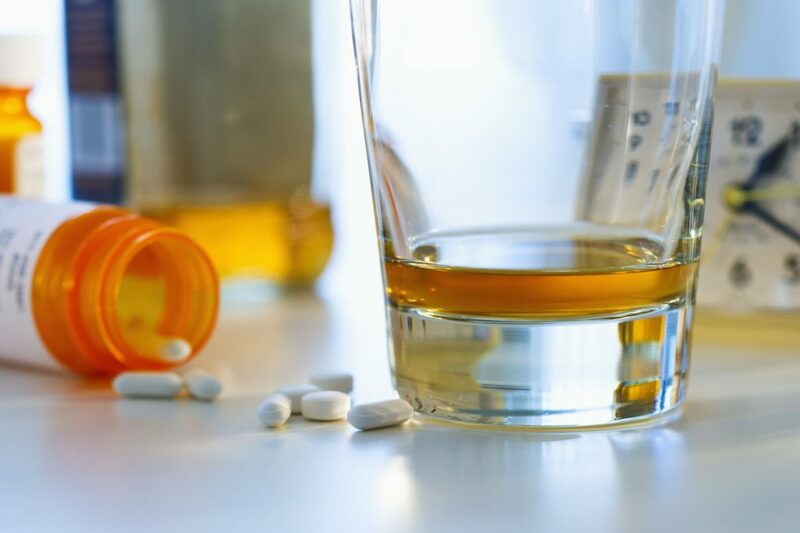 If the person stops using a drug or alcohol or uses less of the substance, significant symptoms develop like: anxiety, shakes, sweating, nausea, vomiting, depression, insomnia, irritability, fatigue, headaches, etc. A person may seem to hit rock bottom with their relationships, school, job, or health, but they still drink or use drugs. Even though the substance has led to huge disruptions in their life, they continue to use. This is a major sign that help is needed. While you may not be struggling with addiction, these symptoms do not just apply to alcohol and recreational drugs. Opioid abuse manifests in similar ways. While most chronic pain patients don’t abuse their opioid medications, some can develop opioid addiction. Recognizing the patterns of abuse can help save a life. Watch out for yourself and others. Opioids can be effective for a specific group of people with chronic pain, and they can be dangerous if taken non-medically or taken by friends or family members. To learn more about pain and addiction, listen to my radio show episode “Pain and Addiction” featuring Christopher Kennedy Lawford, author of two New York Times bestselling books on addiction here. I also spoke to professional basketball player Chris Herren about his struggle with drug abuse, which you can listen to here. Posted in Addiction, Blog, Uncategorized. I appreciate how you mentioned that withdrawal symptoms such as anxiety, nausea, depression and irritability can be warning signs that someone is addicted to drugs. My son went to summer camp with his friend recently and noticed that while camping, his friend was easily irritable, worried and feeling sick, which isn’t how he normally acts. It’s possible that drug addiction counseling might be what he needs to learn ways to successfully leave behind harmful substances that he might be using and work through his difficult withdrawal symptoms. Thanks for the information.